In 2009 I got to know slacklining via climbing. At the beginning I thought it was boring, frustrating and much too difficult. However, when I finally was successful, I became addicted to it. By now I try to spend almost every minute of my freetime on the line. What I like best about jumplining is that you can really work out doing it. Work out physically as well as mentally - there are no limits to your own creativity. You invent new tricks and combos all the time, you want to jump higher and push your own limit further and further. In any case, my favourite trick is the backflip. You take off, almost lose your orientation for a short while and if you land on the line safely again, you have a crazy feeling of bliss. 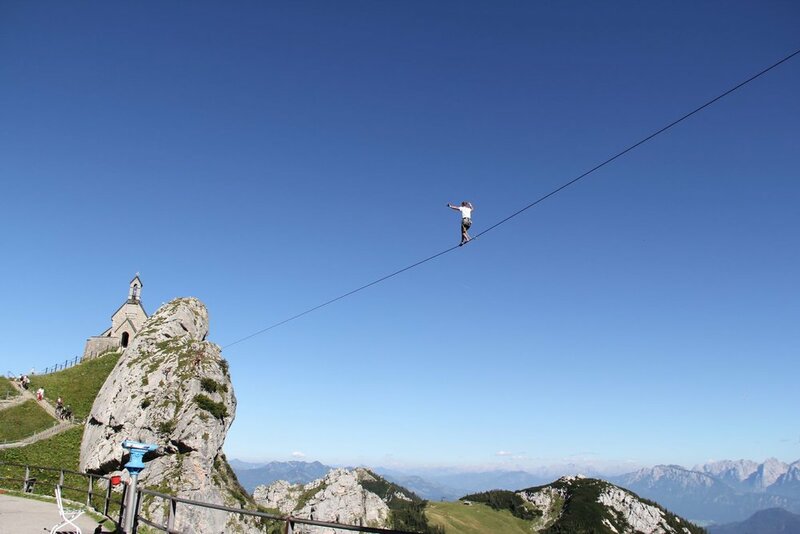 However, not only jumplining, but also highlining is one of my passions. When you balance high up through the air and expierence a very normal fear of hights, you really feel alive. 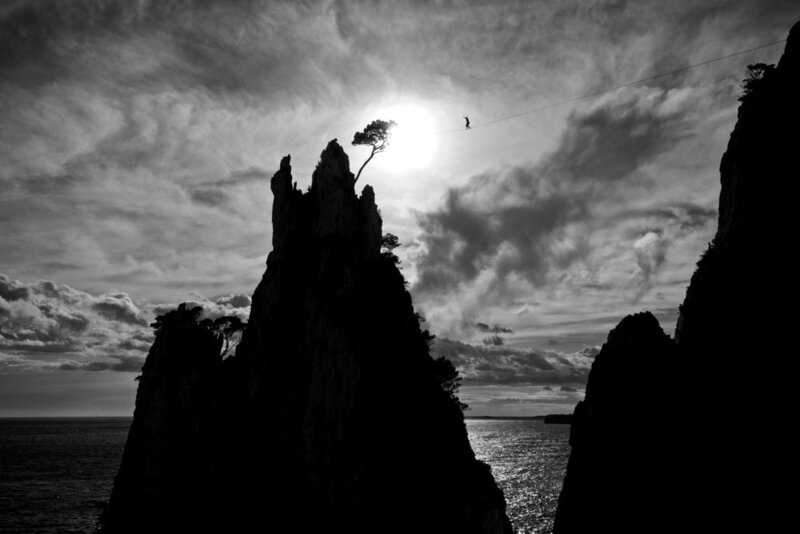 Slacklining has got many different aspects and I wouldn't want to miss any of them. No matter if it is tricklining, longlining or highlining- the feeling of adrenaline, freedom and being in control of your body when you balance on the line and the fun you have together - these are the ingredients that make slacklining invaluable. Find out more about Friedi on his homepage. Successfull performance in the famous German TV-show "Wetten, dass..."